The sculpture will stand in the public grounds of Kensington Palace, where William now lives with wife Kate, son George and daughter Charlotte. Britain’s Prince William and Prince Harry said they have commissioned a statue of their mother, Princess Diana, 20 years after she died in a Paris car crash. The sculpture will stand in the public grounds of her former residence, Kensington Palace, where William, 34, now lives with wife Kate, son George and daughter Charlotte. 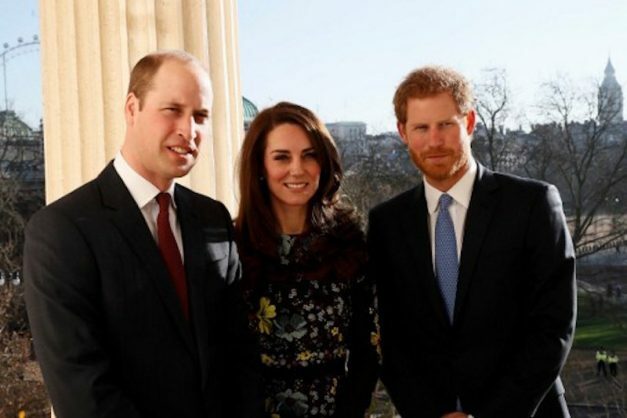 “It has been 20 years since our mother’s death and the time is right to recognise her positive impact in the UK and around the world with a permanent statue,” the princes said in a statement issued late Saturday. “Our mother touched so many lives. We hope the statue will help all those who visit Kensington Palace to reflect on her life and her legacy,” it added. Queen Elizabeth has said she “supports” the idea, according to reports. It will be the fourth London-based monument dedicated to the late princess, close to the Princess Diana Memorial Fountain in Hyde Park and a memorial garden. Diana and her boyfriend Dodi Fayed were killed in a car crash in a Paris underpass in the early hours of August 31, 1997, along with their French driver Henri Paul as they sought to outrun chasing photographers.